Ufuk Tandoğan has been for the past six years the CEO of Garanti Bank Romania, a financial institution with a customer-centered strategy and a long-term commitment to the local market. 2018 is a milestone for Garanti Bank. It marks two decades of its presence on the Romanian market, twenty years in which it has managed to grow year by year above the market average. Looking back, how would you characterize the bank’s evolution in these twenty years of presence on the Romanian market? Being on the local market for 20 years is a great accomplishment. 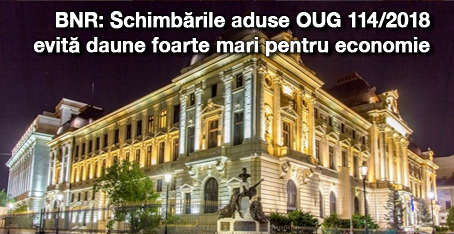 We started operating in Romania in 1998 as a branch of a foreign bank. At that time, there were 42 active financial players in the local banking system. At the end of last year, only 10 of them were still standing and Garanti Bank was one of them. We transformed ourselves into a fully fledged Romanian bank in 2010, three years after we established our business lines: Retail, SMEs and Corporate. We have grown year by year above the market average. Back in 2008, for example, we were the 23rd bank in Romania. Now we are a bank of systemic importance, the 9th in the local banking system by assets, as of June. With a business model that has proven to be sustainable, we have managed to grow our loan and deposit market share to over 3% and 2.6%, respectively. Also, with Bonus Card we have a nearly 6% share of the total credit cards local portfolio, and we have managed to increase our market share to over 6.5% when it comes to the number of POSs. How was 2018 so far for Garanti Bank? The bank registered a 108 million lei net profit at the end of September. Our efficient business strategy of focusing on organic development and growing a healthy portfolio has led to a 3.8% year-on-year increase in our loan volume, to 7.52 billion lei, and a 9% year-on-year increase in our deposit volume, to 7.9 billion lei. The bank continues to be well capitalized, with a solid liquidity position and a low cost of risk, reflecting Garanti’s sustainable business model. We will keep our focus on our employees’ and customers’ satisfaction and on increasing the quality of our services. Our objectives further on will continue to focus on maintaining a healthy portfolio, being a trustworthy financial partner to all clients and increasing profitability in a sustainable manner. What are Garanti Bank’s competitive advantages and assets on the local market? Our competitive advantages come from our brand, our technology, human capital and innovative products. First of all, we are part of a global financial group. We have a strong shareholder support and a strong reputation locally, but also globally. Secondly, we have highly centralized operations, which bring efficient processes and the best customer experience. We also take pride in our technology and our state-of-the-art digital product, Garanti Online, our internet banking platform, and Mobile Me, our mobile banking application. As a proof of our continued efforts in the digital area, in August this year, Garanti Bank was awarded as the “Best Consumer Digital Bank in Romania”, by the world-renowned magazine Global Finance. The distinction was granted within the “2018 World's Best Consumer Digital Banks in Central and Eastern Europe Competition” and it is the 11th award that Garanti Bank has received from Global Finance in the last ten years. Also, Garanti Bank is one of the first and still few banks in Romania with a complete smart ATMs network. Garanti Bank promotes itself as a very dynamic financial institution. What does this mean exactly? In this digital era that we are experiencing, consumer banking habits continue to evolve and to diversify at a speed we have never seen before. The types of financial products and services have multiplied considerably in the past years, as customers’ needs for efficiency and excellence have amplified at very high speed. Digital banking products gain more and more ground, as customers have shown an increasing preference in this direction. We, at Garanti Bank, try to permanently adapt to this technology driven changes. Also, we try to customize our products and services to best fit the needs of our customers, because we strive to be a bank with a client centric approach. This is the reason why we always design new products and launch new campaigns. We want to make sure that our clients know they have in us a partner for the long run. What is Garanti Bank’s strategy when it comes to digitization and what is the pace at which Romanian clients adopt Internet banking and mobile banking? Garanti Bank is one of the most important players in the Romanian banking system when it comes to internet and mobile banking. We constantly update all our digital products, in order to best fit the change brought by clients’ complex requests and expectations. As such, we relaunched our Internet Banking platform, Garanti Online, in an upgraded, more intuitive and user-friendly format. And although, according to European Commission’s DESI Report, only 11% of the population uses digital banking services, there has been a significant progress in the past 20 years. The Romanian banking industry’s bet on digital is the right one, even more because we have room for growth. We, at Garanti Bank, see a spectacular growth, not only in the number of mobile transactions, but also in the number of clients who prefer to interact with the bank using a smartphone. We also see a steady increase of clients who use our internet banking service – Garanti Online, in all business lines (Retail, SME, Corporate). How do see the future relationship between the banks and their clients? People will still need financial advice before making important financial decisions. Therefore, even in the future, banks will still provide specialized counseling for their customers. I do not belive that this will change any time soon. But technology has defined the way we conduct business and how we approach clients. The young generation, the digital customers as we call them, demands applications and online platforms that are easy and ready to use. This has changed the focus in the banking industry. Now banks are preoccupied not only with creating and selling products, but also with solving problems and improving the customer experience. And this must continue to happen as the financial ecosystem is growing. With the rise of fintech companies and tech giants, banks must rely even more on innovation, to offer more personalized banking experiences to their clients, in order to become an integrated part of their day to day activities, since technology wipes out geographical barriers and pushes us to a single financial market. Credit cards are one of the most popular financial products in Romania. National Bank’s data show that over the last three years, their numbers have increased by 22%. Why do you think Romanians prefer this financial product? Used right, any credit card has some clear advantages. Through credit cards, customers get access to a credit line, in order to finance any expense and the repayment is more flexible than that of a loan. Additionally, most credit cards come with reward incentives, such as cash back or points that can be used afterwards for future purchases, or even to pay down outstanding balances. On the other hand, Bonus Card is a unique product in Romania and one of the most rewarding payment tools in the market, for both cardholders and merchants. Customers accumulate bonus every time they perform a transaction with their card, both inside and outside the country. The bonus can afterwards be spent for shopping in the partner stores network, which is increasing permanently. Until now, Garanti Bank has granted around 10 million lei in bonuses, since the card launch, in 2007. Garanti Bank launched the Bonus Card on the Romanian market in 2007. Do you see any changes in how Romanians use this particular product? Customers have become increasingly aware of the benefits of using credit cards: payment in installments and the grace period. This is why, over the years, we have registered an increase in the number of credit cards issued by banks, in the number of transactions performed and in the value of those transactions. Let me give you some figures regarding Bonus Card. Six years ago the average value of a transaction was somewhere around 200 lei, this year in August it was 307 lei. Last year our clients purchased with Bonus Card goods and services worth 440 million lei. This year, we expect an increase. What kind of goods do people buy with Bonus Card? Eighteen percent of all transactions are electronic purchases – phones, smart watches, TVs, laptops etc. There are also a lot of clients who use the credit card to pay in grocery stores or supermarkets. Moreover, around 10% of all transactions are made in home supply warehouse stores and 9% in clothing shops. Bonus Card is a product that makes customers’ lives easier and their dreams reachable, by offering them installments with 0 interest rate and bonus points. What is the period of the year with the highest number of transactions? Surprisingly it is not December, but November and it is due to Black Friday. Last year, on one particular day, on the 17th of November, the total value of purchases made using Bonus Card reached almost 6,5 million lei, meaning 4.5 times more than on a regular day. We believe this figure will be exceeded this year. The increase in wages in the public sector and the rapid rise of the minimum wage in recent years have led to an increase in Romanians’ appetite for spending. You mentioned an increase in Romanians’ appetite for spending and borrowing. Do you believe that the new regulations adopted by the National Bank of Romania, regarding the maximum level of indebtedness, will determine a lending slowdown? The scope of this measure, as announced by the NBR’s officials, is not to determine a lending slowdown, but to safeguard average and below-average income earners, by improving their payment capacity. We have seen a growing demand for loans from the population over the past years. Thus, it is understandable that NBR wants to make sure that we have a sustainable growth in lending. Let’s not forget that similar prudential measures have already been adopted in some countries such as Czech Republic, Estonia, Lithuania, Hungary and Poland. Also, let me remind you that the Romanian banking system is at this point in time as healty as it ever was. In the past years, we have seen the banking system’s average NPL (non-performing loans) ratio diminishing year after year. In 2014, it was above 21%, whereas in June it was 5,71%. It is absolutely understandable that the NBR’s officials want to preserve this and keep the banking system healthy. Nobody wants to go back to the situation from 6-8 years ago. 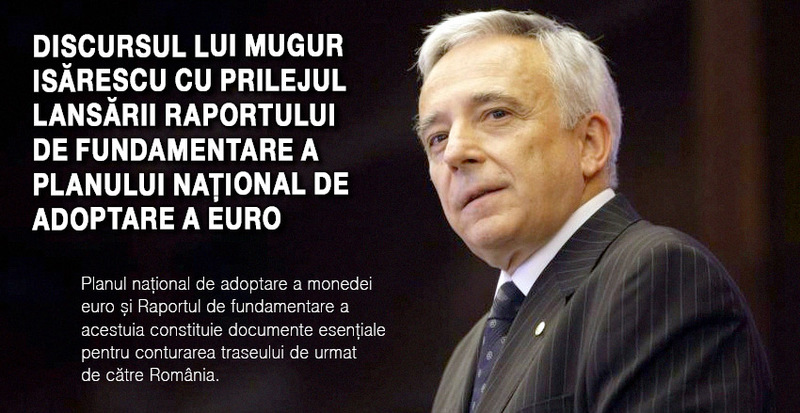 You talked about an increase in Romanians’ appetite for spending and therefore for borrowing. Do you see a similar trend when it comes to companies? There is still room for investments in healthcare, retail, and tourism. Thus, it is natural to see a sturdy demand for credit from companies, mainly from small and medium-sized companies, which are more and more interested in long-term loans in order to support their strategic investments. According to a survey (1) conducted by the National Bank of Romania, between April 2017 and March 2018, 29% of corporations and 9% of SMEs use the money borrowed from the banks to finance their development plans. In what sectors are the companies or the projects financed by Garanti Bank? In these 20 years of presence on the local market, we have supported various ambitious projects that have contributed both to the progress of the local economy and to the betterment of the society, as a whole. We take pride in the fact that we have managed to be a partner for a large spectrum of entrepreneurs and business people, who come to us with good business plans or ideas that respond to consumer's needs. But to answer your question, when it comes to the SMEs and Corporate segments, the main sectors financed by Garanti Bank are industry, healthcare, tourism, real estate and retail. For a Retail customer the cost of the credit is usually the main criterion when choosing which bank to apply for a loan. What do you think counts the most for a company, large or small? The business relationship already established with a bank is more important for a company than the credit terms. And it is not me who says this, but the same NBR survey I mentioned before. This is also a shared opinion by the top management of 78% of the companies questioned by the NBR. This is why we, at Garanti Bank, value and try to strengthen our bond with our clients, constantly creating products tailored to their needs. How does Garanti Bank support local entrepreneurship? The bank is part of an integrated financial services group, which includes two non-banking institutions. Garanti Bank, as well as Garanti Leasing and Garanti Consumer Finance, has signed important agreements and partnerships with international financial institutions, such as the International Finance Corporation (IFC), European Bank for Reconstruction and Development (EBRD), Black Sea Trade and Development Bank (BSTDB), and the European Investment Bank (EIB). The agreements support SMEs’ development and facilitate their access to finance, so they can grow and bring their contribution to the local economy. We have done this because we truly believe that SMEs are the backbone of the economy and that entrepreneurship is an important engine that has boosted the development of Romania’s business environment. How do you see the evolution of Romania’s economy? What’s your forecast? Romania’s economy is still growing, although the pace has slowed down. 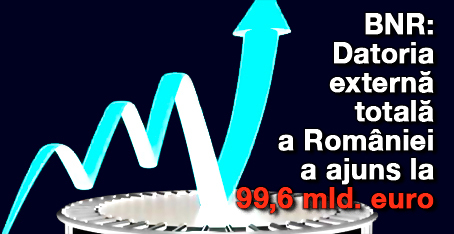 For this year, we estimate that Romania’s GDP will gain 3.8%. I am optimistic as there are a lot of sectors of the economy with great potential, especially constructions, as infrastructure works will have to be a focus in the medium term. Romania also has a highly qualified workforce, especially in the IT sector, labor costs are still competitive, and the country has valuable natural resources - fertile agricultural land, oil and natural gas. I came to Romania as CEO of Garanti Bank, six years ago and by the nature of my job I had the chance to travel throughout all its regions and meet many of its hard-working and warm-hearted people. A lot has changed, a lot has improved in these six years. Still, there are things needed to be done, in order to translate this enormous potential into sustainable economic growth which can benefit all Romanians.